If you are a business traveler visiting Maharashtra, you must be carrying a lot of workload with you. Once the meeting with your esteemed clients is over and you require to de-stress yourself before flying home, you can head to the oldest national park in Maharashtra, the Tadoba National Park. Tadoba National Park is a tiger reserve situated near Nagpur in the Chandrapur district of Maharashtra and away from all the hustle and bustle of urbanity. Due to the improvements in road and living conditions, tourism in Tadoba has been flourishing over the past couple of years. This tiger reserve boasts a sizable tiger population. The 3-hour ride deep inside the forest in an open jeep is what every business traveler needs to unwind and feel rejuvenated. To attract business travelers, MTDC (Maharashtra Tourism Development Corporation) developed eco-friendly cottages. The cottages got fully operational from 1st April this year without a lot of fanfare. They are furnished with bamboo and local products. It uses solar panels for energy and offers a breathtaking natural view to its guests as it faces local lakes. To combat the rampant power failure issues, a wind energy generator is also installed. Guests living in these cottages can look forward to fun indoor activities, such as table tennis, pool table and other board games. Since business travelers visit Tadoba primarily for relaxing, MTDC Tadoba hotels also have yoga huts. In order to make the stay more comfortable, MTDC has renovated the restaurants and improved the quality of food. The wonderful accommodation amenities and facilities are offered at competitive rates that have largely been responsible for attracting business travelers. The MTDC is striving hard to keep improving the accommodation, and the reasonably priced, eco-friendly cottages are giving stiff competition to privately-owned hotels and resorts. Previously, only privately-owned hotels and resorts in Tadoba offered lavish living conditions and amenities. But, the prices were high. If you are traveling for business purposes, you would obviously not want to shell out a few thousand for a one or two day stay at the Tadoba Tiger Reserve. The high hotel prices were seriously affecting tourism and the tourism department of Maharashtra intervened to combat this problem. Government-owned hotels and resorts now provide A.C. as well as non A.C. rooms. Also, the services offered and food served are equivalent to that of the private-owned hotels and resorts, but at a much lower price. Due to the frequent sightings of tigers in Tadoba, this tiger reserve has gained popularity over other wildlife parks, such as Bandhavgarh, Pench and even Kanha. If you are traveling from Nagpur, you might even find lucrative packages including everything from accommodation to jungle safaris and even traveling to and fro. 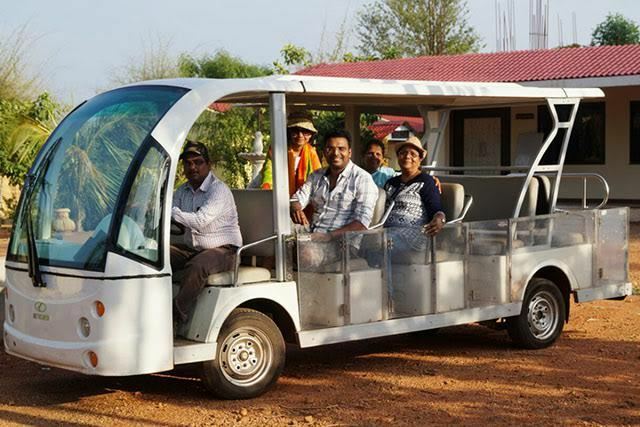 Even if you were to bring your employees to Tadoba Tiger Reserve, you can be sure that they will all return feeling revitalized.